Not everybody gets famous. Of those who do, not everyone wants it. Of those not all of them get to choose what they are famous for. This story of the final years of an artist who is best known by a tiny fraction of her output from her earliest years. This is dealt with quickly as Nico, on the verge of a career reviving tour is seen fending off a persistent British radio interviewer's questions about the Velvet Underground. Imagine Cher still being asked about Sonny Bono. Nico was in the Velvet Underground for one album and a few shows, imposed upon the extant group by their manager Andy Warhol. It's true that the three songs she sang on that record are classics and she put them in her sets to the end but she swiftly proved herself capable of highly individual and strong material of her own. Records like Desert Shore and The Marble Index are so different from even the first solo album made of songs by the likes of Lou Reed and Jackson Browne that it sounds like a different person making them. And twenty years after that it was still: so, tell me about the Velvet Underground. This film addresses the rest. Nico or, as she is increasingly insisting, Christa Paffgen is introduced in middle age attempting to divest herself of a past she was only barely part of looking forward to playing live with a new band. She has her own continued opiate addiction and that of some of the band, as well as the awkward attentions of her road manager and the dodgy collaborators that resuming a live career on the bottom necessitates. But she is enjoying the freedom of this and the chance to perhaps remove the shackles of a cult notoriety she didn't pursue. We see her in serious rehearsal and live performance and what we see is the power of that lure of freedom. We might also know that the year 1988 is the year of her death, an everyday accident that might befall the humblest and plainest of us. Front and centre Danish actor Trina Dyrholm gives us a Nico as much in control of her minute to minute life, noting the warm and cold spots in the rooms and crowds around her, who records the sounds of hot water services as well as the crashing tide as all sounds can be music and the elusive one she is chasing is from a memory and probably more a whole experience. Dyrholm's intensity doesn't omit humour and it is the humour of one who knows she can say anything abruptly and have it received as wit and observe the difference in that reception from person to person. 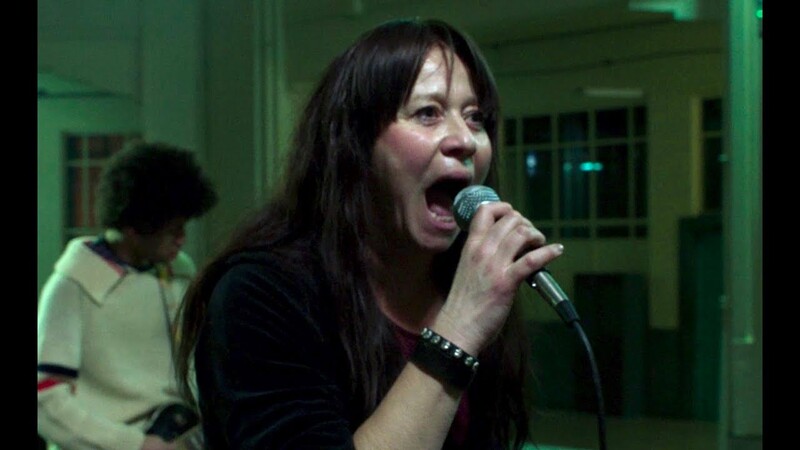 She also, crucially, assumes all the vocal duties, sounding perfectly like Nico as she would have sounded off record, wailing iron high notes in Janitor of Lunacy and losing the low notes of All Tomorrow's Parties at a sound check. With a performance as committed as hers this can send real shivers. This is a good point to praise the film for its realisation of a very authentic live sound. As the droning arrangements proceed we hear this bit of guitar and that of violin and the vocals come and go with the singer's microphone technique and the overall effect is that of slightly articulated mud which is the way every single gig (especially smaller venue ones) until advances in audio reproduction in the decades that came after the setting. With the camera often kept at punter-level the sense of being there is very strong. I would have to think hard of another movie that did that so well. The notion of authenticity that drives the theme and chief character is extended to the use of the hard square of old video (a lot of it looks like it was shot on VHS or at least undressed hidef digital) where everything looks a little more real than is comfortable, just short of being ugly. And that's the point of it. Maybe now that the comfort zone of three more more decades catches up with artists who preferred to deliver their music with a minimum of contrivance and a contempt of legend, the punks, post punks and those who were always on the lonelier side of the margins. Don't get me wrong, we can learn from legends but we'll remember more profoundly the sudden revelations that can come from a conversation at a kitchen table. That's where this film is sitting. Come on in. Kettle's on.